Google says that if you initiate a phone call while you're connected to WiFi, for instance, the service will automatically hand it off to whichever cellular network is strongest where you are. Speaking of WiFi, that secure connection feature spotted in a new build of Android is indeed part of the mix here too, with Google acting as a gatekeeper for your device's data when it's connected to one of those verified hotspots. Naturally, most Android phones out there won't play nice with that sort extensive, prolonged network hopping, which means only Nexus 6 owners with a special Fi SIM card can join in on the fun for the time being. Google Hangouts can be used to check your voicemail and fire off your daily load of banal text messages too; it's almost like a fully realized version of Google Voice, itself a grand experiment in mobile that eventually grew outdated and devalued as the companies priorities shifted. Hopefully, Google stays committed this time. So, what'll Fi cost you? To answer that question, we've got to dig into the basics of the Fi plan first. Everyone who signs up for the service gets the same core features -- unlimited domestic calls, unlimited US and international texting, WiFi tethering and free data coverage in over 120 countries -- for a base price of $20. From there, all you're really adding are data costs, and each gigabyte of high-speed access will set you back an additional $10. Yep, that means you can get started on Google's own mobile network (or "network of networks," as it's calling it) for as little as $30 a month if you can skate by on 1GB of LTE data. Oh, and the icing on the cake: You'll get a refund each month for whatever data you haven't burned through. Given Google's general distaste for selling things with contracts, it shouldn't shock you to hear that you won't be inking any multi-year deals to use Fi either. It's a little too early to call Project Fi a "game-changer," but I don't think it's quite fair for Google to keep likening it to the long-running Nexus device program. For the most part, Nexus phones and tablets aren't designed to be adored by the masses -- they're meant to be proofs of concept, heralds for what Android could and should be. Fi arguably falls into that mold too as a semi-Utopian network concept that pairs two bitter rivals like Sprint and T-Mobile under a single umbrella of seamlessness, but everything else? The dead simple pricing and the monthly refunds and consumer-first network hopping? That just might be enough to get people thinking about what their carriers should be doing for them. 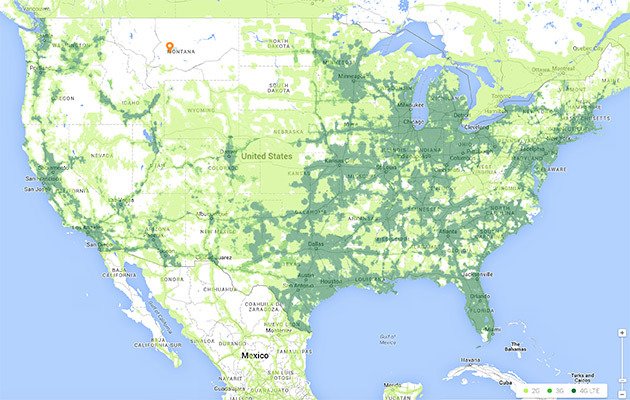 Google Fi is here and let's assume you use a Nexus 6. Will you ditch your carrier to sign up?